Every season we scramble to see the latest seasonal releases from fashion brands all over the globe, this is no different when it comes to the beauty industry; industry insiders, bloggers, press and fans everywhere can’t wait to see the latest releases from their favourite beauty brands. 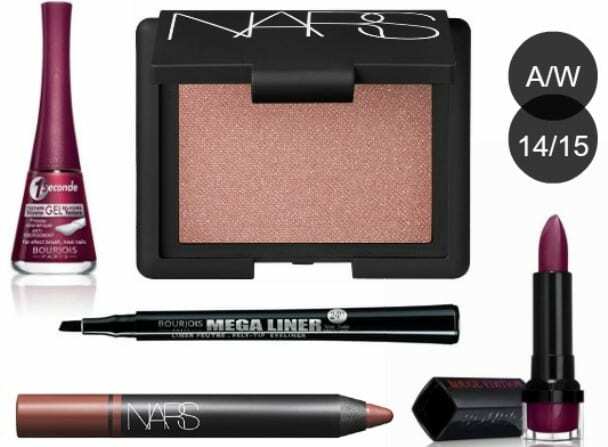 From summer pastels to winter berry tones two brands stick out every season; NARS and Bourjois. Both brands are releasing collections that will make you want to splurge like there’s no tomorrow this A/W. Never one to let me down Bourjois are yet again on point with their Arctic Winter 2014 Collection; packed full with products that are accessible, affordable and oh so pretty. Black eyeliner is a staple for me anytime of the year so the Mega Liner will make a nice addition to my collection, not to mention Bourjois 1 Seconde Nail Polish in Violet. The eye catcher of the collection has to be the Rouge Edition lipstick, if ever there was a shade that made me go weak at the knees, then this ladies and gents is the one. The new for A/W Colour Collection from NARS features 10 new products that give off a luxurious look; soft metallic shades, strong jewel toned eyeliners and perfect lip colours. For me A/W is all about a bold berry toned lip, but this year NARS have bucked the trend and gone subtle; they have introduced two new lip pencils – Bansar and Mondore. Bansar is the stand out of the collection, for me, along with the latest addition to their famous blushes – Unlawful. NARS are famed for their amazing blushers and I for one cannot wait to get my hands on Unlawful; a slightly shimmery pink/amber. I know we are still in the middle of summer but yet I can’t help but get a little excited for winter and all the new beauty releases it brings. A/W 14/15 is going to be a beautiful one.